Civil rights leader, environmentalist and global humanitarian, The Rev. Paul Mayer, passed away on November 22nd. 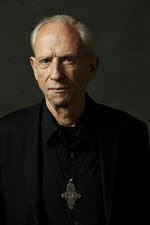 Tonight we shall hear Father Paul in conversation with WBAI’s “Earthwatch” and “Five O’Clock Shadow.” So please join us on WBAI-99.5 / wbai.org at Midnight Wednesday-Thursday for an Earthwatch celebration of a Conscience for the Generations! LISTEN HERE. Hear Fr. Paul Mayer’s own words, CLICK HERE, while being arrested at Occupy Wall Street in 2011. Paul Mayer’s more than half century of service to the earth has included eighteen years as a Benedictine monk, involvement with Dr. Martin Luther King, Jr., and the civil rights movement in the South, work in the barrios of Central America, participation in the effort to end the war in Vietnam as well as co-founding peace and environmental organizations. Mayer’s childhood experience as a Jewish refugee from Nazi Germany inspired him to co-found Children of War, a youth leadership organization that helped transform the lives of teenage survivors of international and domestic wars. Mayer’s commitment to global peace, social justice, ecology, non-violent social change explores the link between spirituality and activism. He is a Yoga practitioner and teacher. He has an active wedding ministry as a non-canonical, formerly married priest.